Founded upon loyalty to the State of Israel and commitment to Halacha, TZOHAR's mission is to guarantee the Jewish future of the State of Israel and create a meaningful and relevant Jewish experience for all Jews in Israel. 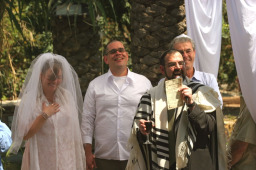 Over the past two decades TZOHAR has become one of the most prominent brands of Jewish identity in Israel, directly impacting hundreds of thousands of families, nurturing a moderate, ethical rabbinic leadership and shaping public policy. TZOHAR has emerged as a powerful national movement of 1,000 Zionist rabbis and women volunteers who are leading the revolution for an ethical, inclusive & inspiring, Jewish Israel.